The NovoTHOR is a whole body delivery system of PBM Therapy that has been designed to deliver optimal wavelengths, power densities and dosages based on published clinical research outcomes. 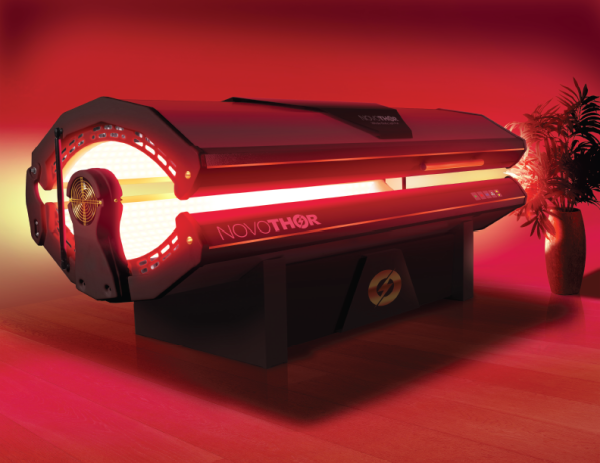 The advantage of the NovoTHOR is it works on the whole body in just 8-15 minutes. The intended uses of the NovoTHOR are to redevelop muscles, or restore motion to joints, or for use as an adjunct treatment for obesity. The Vielight 655 is a low level (or “cold”) laser intranasal photobiomodulation device. It 655 emits low level laser light with a 655 nm wavelength. 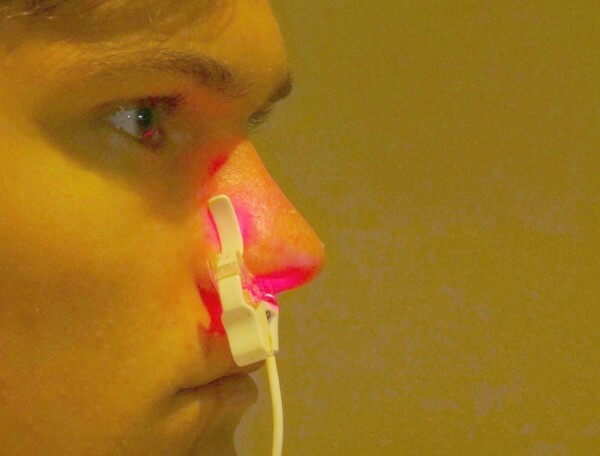 The light pulses continuously with a power density of 5 mw/cm2 to irradiate the capillary-rich nasal cavity. Each session is auto-timed for 25 minutes. The device parameters have been derived from researching clinical studies on low level light therapy over the last few decades. The Vielight 655 Prime has systemic benefits and may assist in the following: Cognitive improvements, Mood benefits, Headaches and migraines, Improved immune system functioning, Flu symptoms, Sinusitis & hay fever, Sleep, Reduce fatigue, Increased energy​ and Blood pressure. 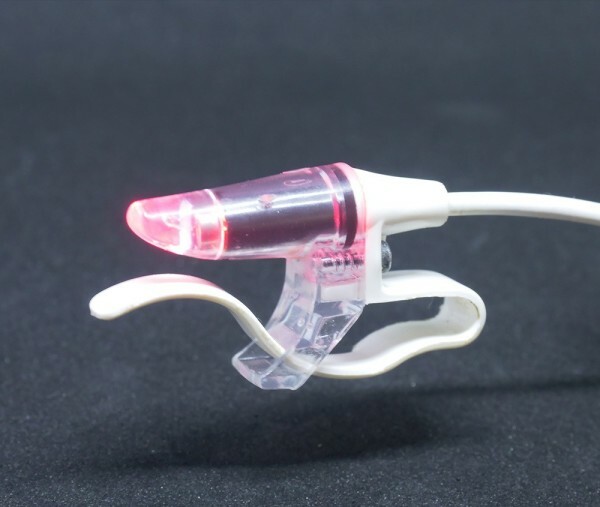 The Vielight 810 emits an infrared light with an 810nm wavelengthis and therefore is a non-laser intranasal light photo-biomodulation device. 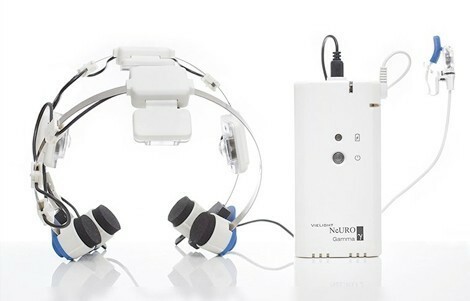 Engineered for gentle brain stimulation, this device complements the systemic effects of the Vielight 655. The 810nm near infrared wavelength enables photonic transmission past the intranasal channel to the deep ventral brain areas. The 810 is engineered to pulse at 10 Hz 50% duty cycle, this frequency is associated with brain oscillation in the alpha state. Neurons are well-suited for photo-biomodulation because they contain mitochondria. The Vielight 810 may assist in the following: Mental acuity, Traumatic brain injury, Concussion recovery, Brain neurodegenerative symptoms, Neuro-developmental ​symptoms and Sleep. The Neuro is the world’s first trans cranial intranasal near infrared light (NIR) photobiomodulation device. The Neuro is the world’s first transcranial-intranasal near infrared light (NIR) photobiomodulation device. It is based on the science of photobiomodulation, the utilization of low level photonic energy to stimulate mitochondrial function in neurons. Research studies in photobiomodulation show that damaged neurons regenerate when NIR light is present. The wavelength of 810 nm, pulsed at 10 Hz has been found to be the most effective wavelength for photonic penetration and neuronal healing. In human studies, pulsed NIR stimulation augments mental acuity, cognition, sustained attention, affective state and working memory. Low Level Laser Therapy (LLLT) improves tissue repair, reduces pain and inflammationwherever the beam is applied. Treatments take only a few minutes and can beapplied two or more times a week. Clinical applications include: Acute or chronic tendinopathies, Sprains and strains, Neck and back pain, Osteoarthritis, Post-operative pain and Tissue healing.